Safe, soft, squishy train fun for little ones! 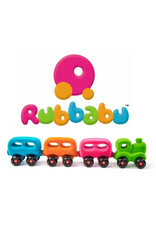 This toy train is a tactile delight made of natural, soft rubber foam with all-over nylon flocking for a velvety feel. Each colorful, jewel-toned piece is a perfect fit for little hands to push and pull – plus the cars magnetically connect to one another. This is a good toy for kids with special needs such as autism or sensory processing disorder. It provides extra visual and sensory attraction, stimulation and even comfort. Made by hand in India using non-toxic materials that are of fair-trade and eco-friendly. 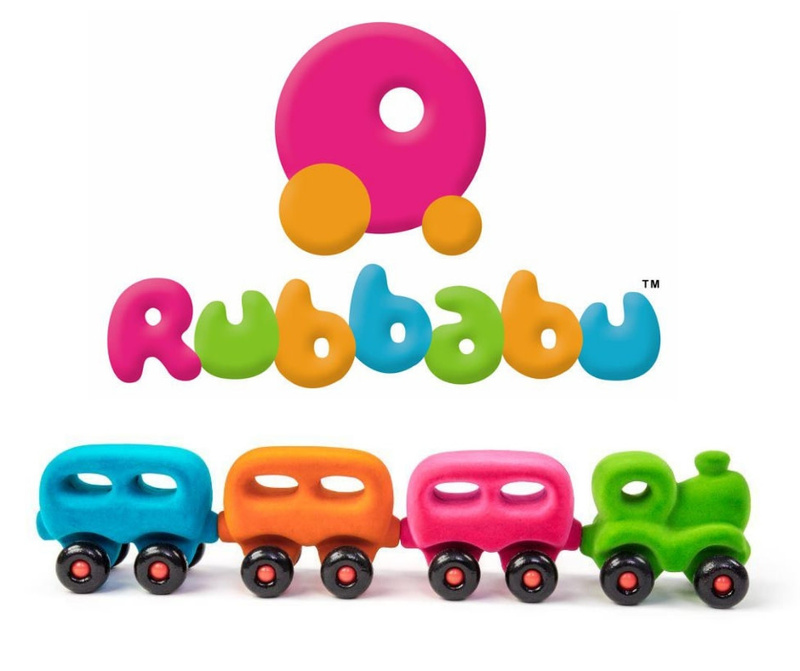 Rubbabu makes simple toys and shapes that are perfect for open-ended, imaginative play. The main component of their toys is natural rubber foam which is anti-microbial, hypo-allergenic and mildew-resistant. No fillers or chemicals are added. They beat it like cake mix until it gets foamy, then bake it into little toys that are soft and squishy like a sponge. The soft tactile material makes them a wonderful developmental aid for children of all ages including children with special needs.